Includes 14 servings. Inflammation is a natural part of the body’s immune response, a cascade triggered to protect the body and maintain normal tissue repair. Acute inflammation is the body’s initial response to harmful stimuli in which plasma and immune cells are relocated from the blood into injured tissues. This movement is followed by a cascade of biochemical events which advance the normal inflammatory response. When inflammation is prolonged, it leads to a progressive shift in the type of cells present at the site of inflammation and is characterized by simultaneous destruction and healing of the tissue. It is essential to maintain normal inflammatory balance to achieve optimal health. 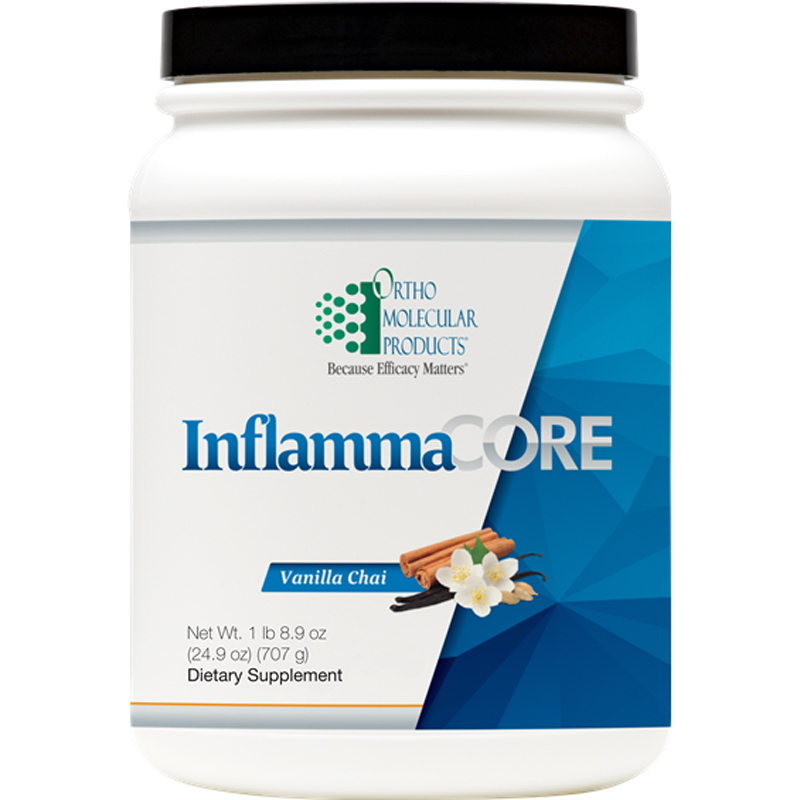 Suggested Use: Mix 2 scoops (50.5 grams) of InflammaCORE with 8-10 ounces of the beverage of your choice to the desired thickness, once daily or as recommended by your health care professional. 14 servings – 24.9 oz.